Observed in shallow water along upper Sycamore Creek, Washington Park, Gila Co., Arizona, USA. 17 July 2016. 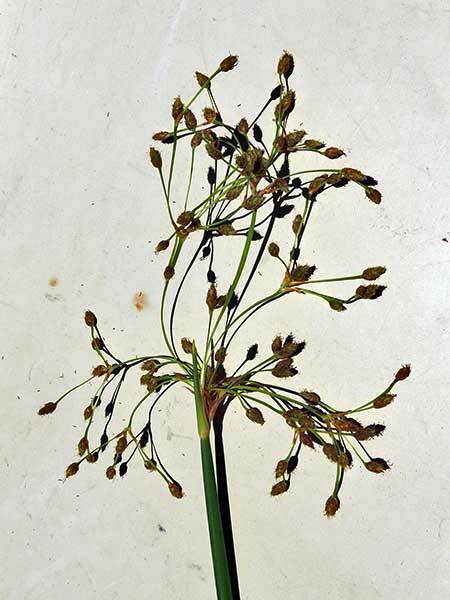 FLOWERS: Each compact spike holds many small yellow-brown flowers. These spikes are in turn arranged into clusters at the terminus of the tall stems. LEAVES: The long leaves wrap tightly round the stems which are circular in cross section; there is no discernable blade. PERENNIAL: An herbaceous plant that regrows each year from submerged rhizomes. Many upright stems form stands at water's edge. RANGE: Found in wet habitats through much of North America. 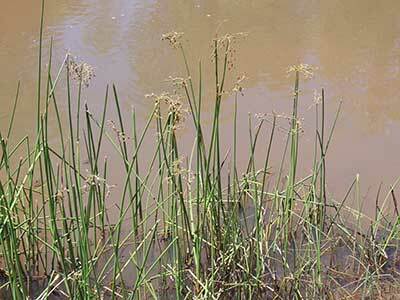 More than a dozen additional rush species are possible in wet soils of Arizona. FRUIT: A single small seed developes for each of the many flowers in each head.